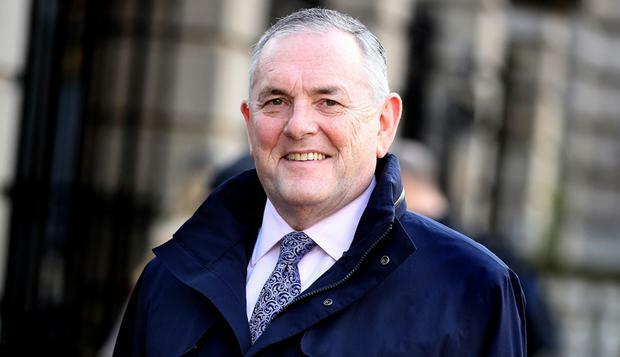 Fianna Fáil TD John McGuinness has said there is “no support” among the party’s membership for a renewal of the confidence and supply agreement. Mr McGuiness said it would be “absolutely wrong” for Fianna Fail to extend the agreement which underpins the Fine Gael led Government as they currently cannot act as a “true opposition party”. He said Fianna Fáil “pretend” it can influence government policy under the arrangement. In a wide-ranging interview on Independent.ie’s Floating Voter podcast, the Carlow Kilkenny TD also said he would put his name forward for the Fianna Fáil leadership once Micheál Martin’s tenure comes to an end. “I am interested in the leadership of Fianna Fáil I make no bones about that,” he said. “Everybody else in politics at any level strives to be better and tries to get positions where they are more influential for the people they represent,” he added. On the confidence and supply agreement, he said the majority of Fianna Fail TDs “understand full well that it’s over”. “We are in opposition but we can’t be an opposition. We are not in government but we pretend to influence government and their policies and we are getting the blame for everything and the government is getting the credit for the aspects which are positive,” he added. He said his relationship with Micheál Martin is “politically not what it should be” but he insisted he is happy with his role in the party and what he has achieved during his career. Mr McGuinness also discusses his work on vulture funds in the Finance Committee and his relationship with Garda whistleblower Maurice McCabe.